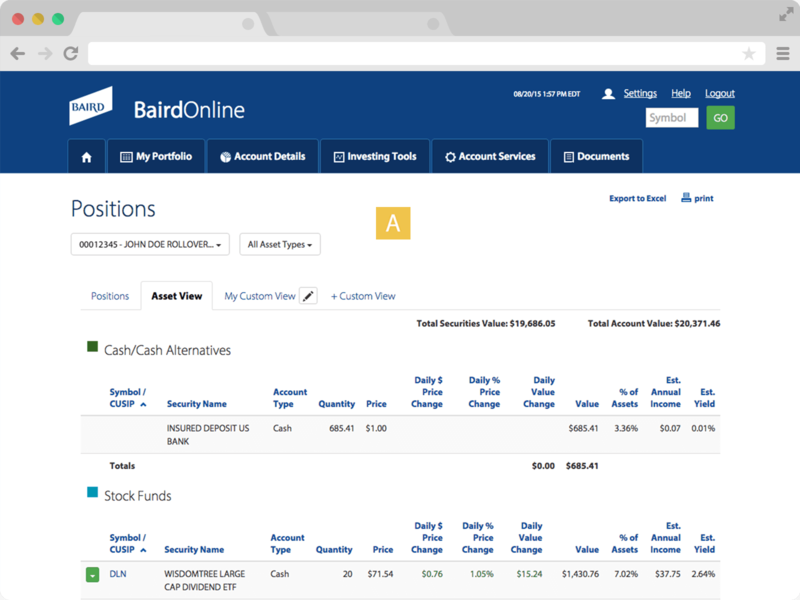 The Account Details section gives you easy navigation to view your portfolio's positions, create custom views, easily search your account activity and more! Close-up of Account Details sub-navigation. | Click image to enlarge. 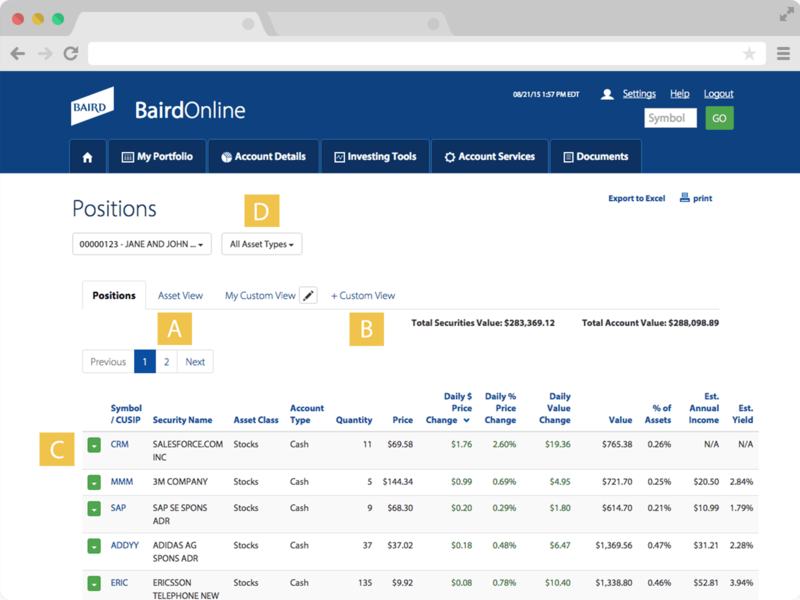 View your account positions on the Positions screen. 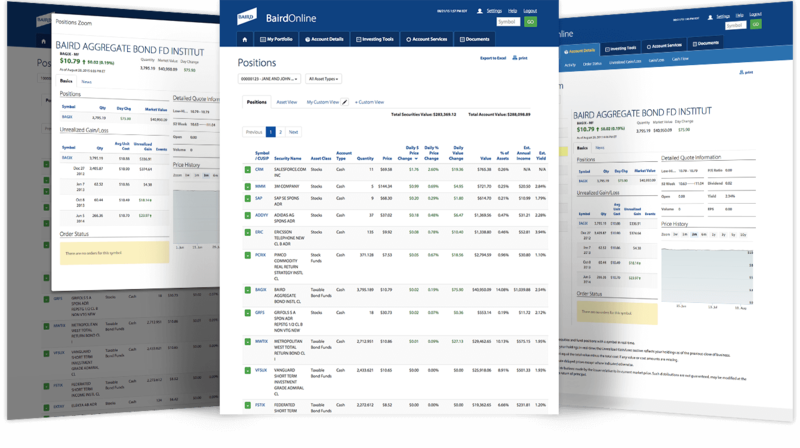 Positions – Asset View | Click image to enlarge. Positions Custom View | Click image to enlarge. New! 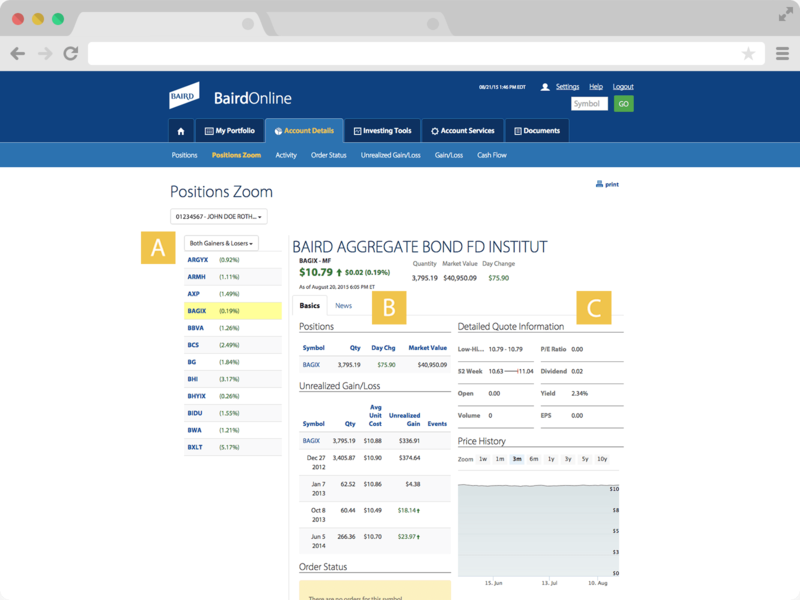 A combination display of market and portfolio data helps you better understand your account composition and underlying position details. 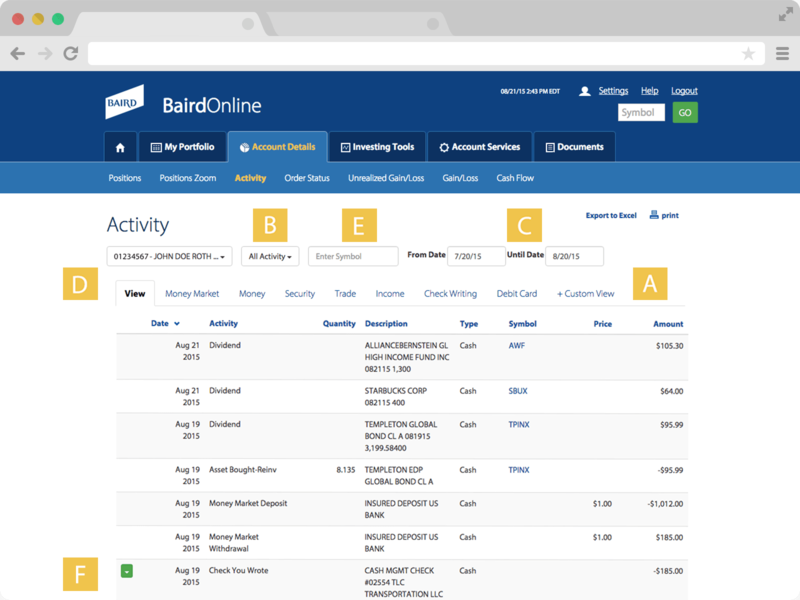 View activity information including transactions, income, expenses, debit card activity, and more. 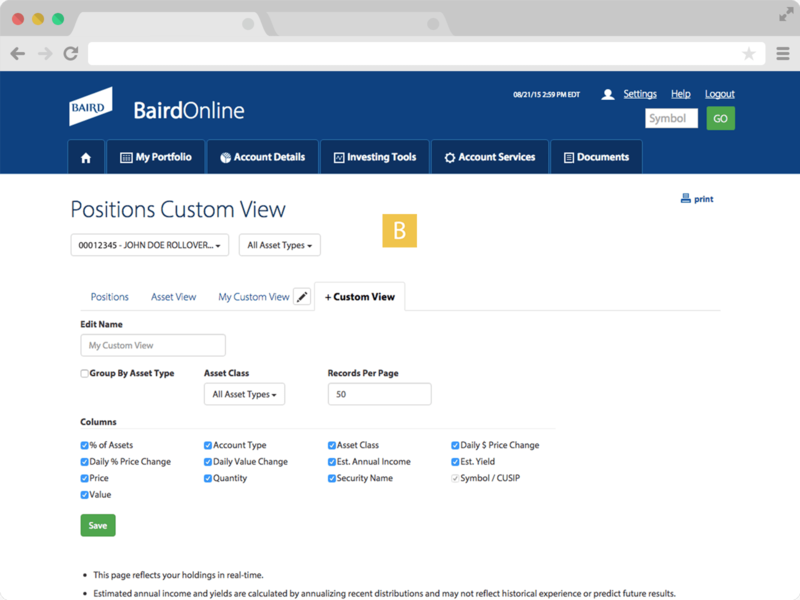 This view provides an all-inclusive look at your account activity for up to a twelve-month transaction history. 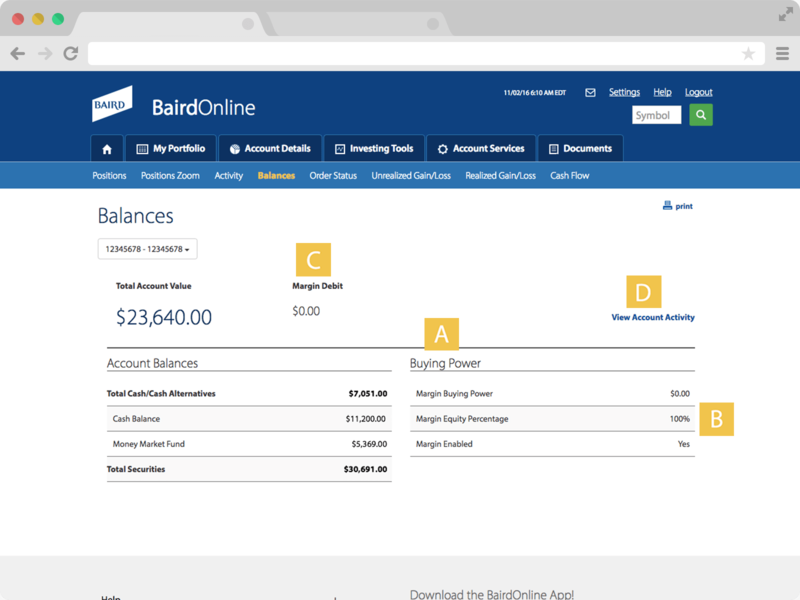 The Balances page will give the user a summary of the balances in all of their Baird accounts. 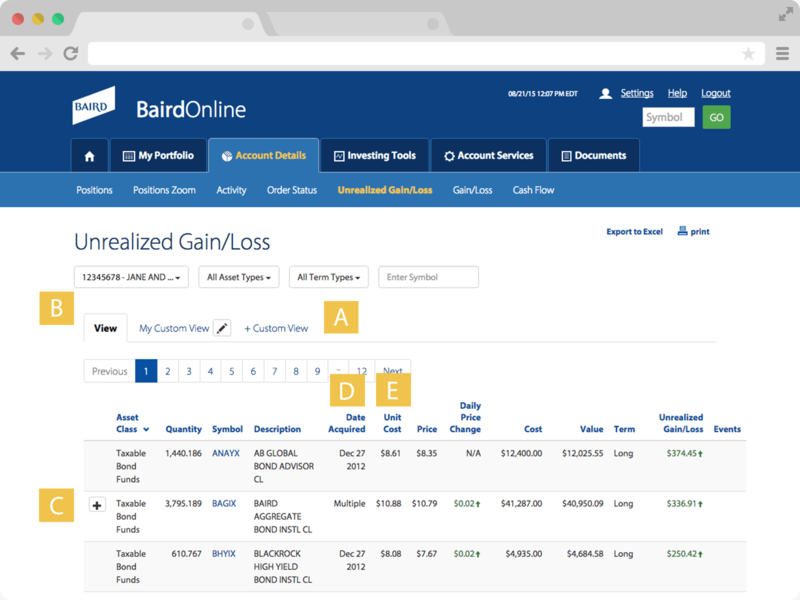 The page also provides additional information on Cash, and Cash Equivalents, within the accounts, as well as access to view Margin Buying Power. 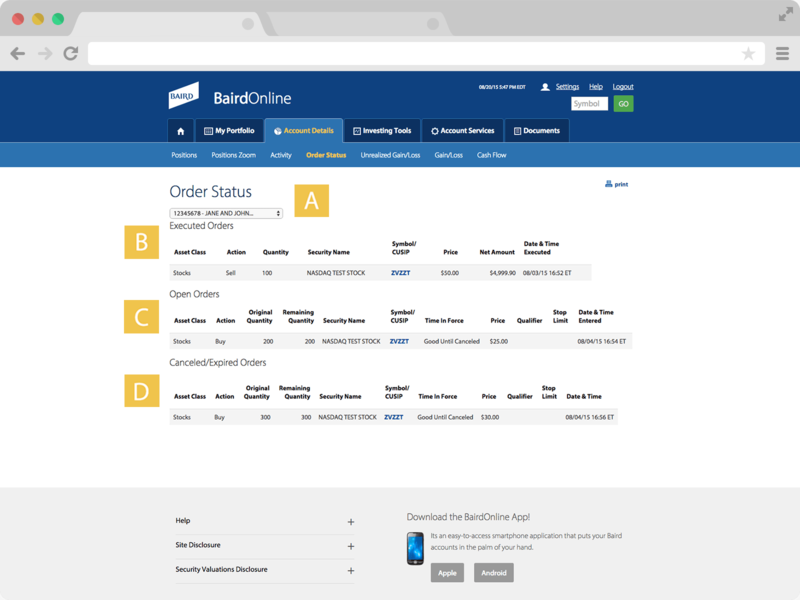 Check on the status of executed, open or canceled orders in your account. 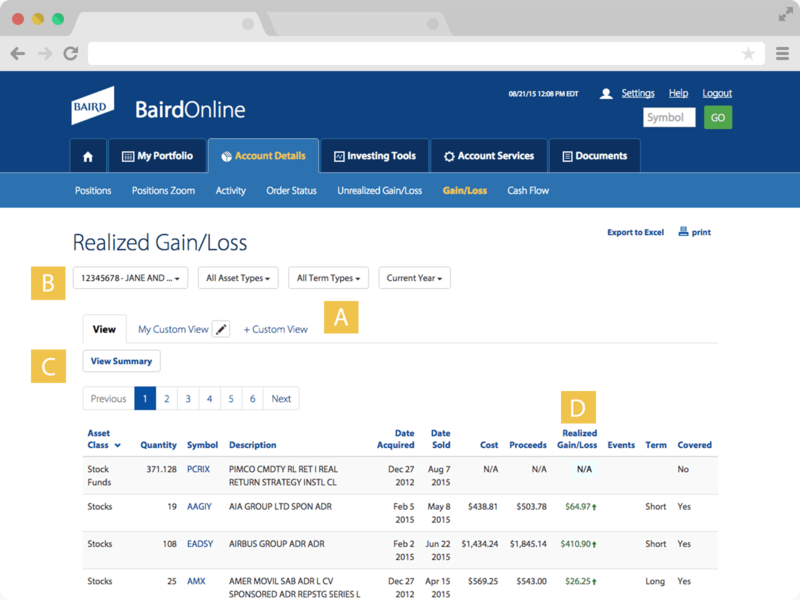 View comparisons of the current market value and the cost of security positions in your account on the Unrealized Gain/Loss screen. 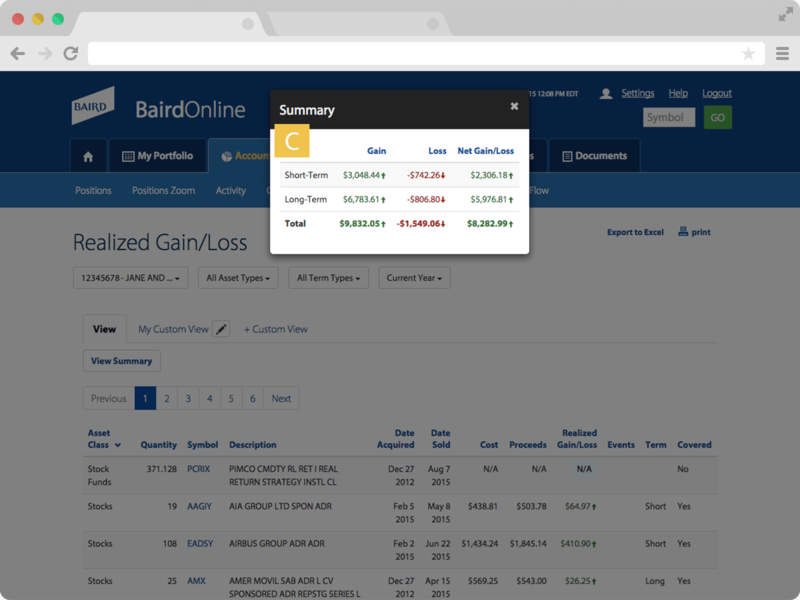 View current and previous year realized gain/loss information. 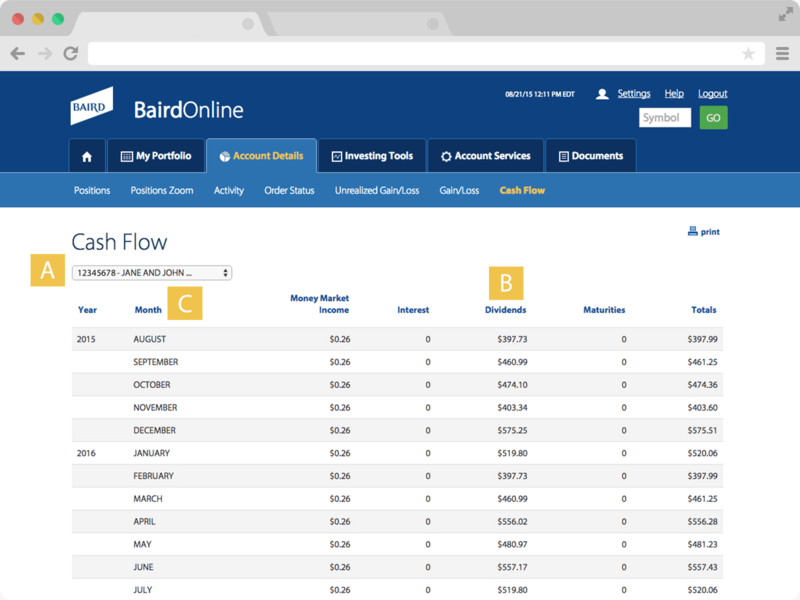 View projected income and maturity information based on your holdings over the current month and following twelve-month period on the Cash Flow screen.